Why does hair turn gray? It's all (or mostly) in your genetics in telling when this will go gray. Grateful as many of the aging, graying among us may be to have hair at all, what's a wonder is that the hair turns gray at all. In fact, why doesn't it just fall out? Curious, we reached out to Nazanin Saedi, director, Jefferson Laser Surgery and Cosmetic Dermatology Center, and Assistant Professor of Dermatology at Sidney Kimmel Medical College at Thomas Jefferson University. Why does hair turn gray as we age? The world is full of questions that deserve answers no matter how embarrassed, time-crunched or intimidated we are to ask. With Infrequently Asked Questions, we set out to answer those shared curiosities. Have a question you want answered? Send an email to entertainment@phillyvoice.com, and we’ll find an expert who can give you the answer you’re craving. People who don’t have any gray hair may not think about it at all. But for those who notice gray hairs popping up, or have a full head of gray hair, they may wonder why it happened and how it could be stopped. And unfortunately, this is an area that not much is known and there is growing research. What we do know is that it has to do with age and genetics. The general anecdote in our culture is that gray hair is caused by stress, and this is something that does play a role. Stress can impact many skin and hair issues. 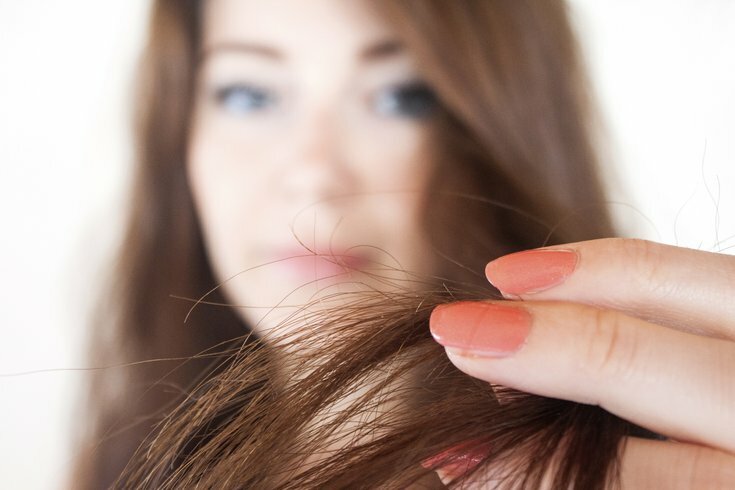 During an illness, such as severe emotional disorders or hypothyroidism, hair can suddenly shed--called telogen effluvium--and then it might grow back a different color. It tends to happen in Caucasians more than others. Why that color, in particular? Has it ever been demonstrated that someone's hair changed another color? The color gray may not be the most flattering for hair, but it emerges on a strand of hair when it loses its pigment. Science hasn’t really given us a good answer as to why or how that happens, however. We do know that early on in the transition to gray, the melanocytes, a melanin, or pigment-producing cell in the hair, are still there, but not active. They become less active with time, which eventually causes the hair to lose its pigmentation. •The reason for gray hairs? Age, yes, but also genetics--and especially stress. •The cells that produce the pigment of the hair are separate from the ones that create the hair itself; that's why the hair doesn't just fall out. •Graying among young people occurs for largely genetic reasons, or because of an autoimmune disease. •The grays do, in fact, come in hair by hair. If it's a matter of aging, you'd think the hair would just stop growing rather than change color, no? What are the mental gymnastics there? You might think that would be the case, but it doesn’t always go hand-in-hand. The reasoning for this goes back to the cellular makeup of hair. The stem cells that are responsible for the growth of the hair are separate from the melanocytes, which are the cells responsible for producing the pigment or coloring in the hair. So, while the stem cells could still be active and producing hair that healthily grows, the melanocytes could be inactive and rendering the hair gray. What's with hair that turns more of a silver-gray? I can’t comment much on gray versus silver-gray, but it is possible that it has something to do with the texture of the hair and the way it reflects light. The grown hair itself does not “turn” or change to another color. Stem cells produce new hairs that grow out lacking pigmentation and appear gray or lack color. What's happening when someone's hair turns gray at a young age? Is there a difference between generic and brand-name ibuprofen? Does Vitamin C fight a cold? Are naps healthy for overall sleep patterns? Unfortunately, premature hair loss or graying of the hair is something that young adults could be plagued with. We talked earlier about stress being a contributor to gray hair, but when you see it happen to a person of a young age, that is a sign that the issue has more to do with genetics. There are also autoimmune conditions in which the immune system attacks different parts of the body, including the melanocytes, effectively removing the pigmentation of hair around the body. Overall, though, graying at a young age is not a sign of a systemic disease, and simply has to do with a person’s genetics. People should take it up with their parents! Why is the switch to gray hair such a slow-burn? It happens hair by hair, it seems. Correct, it does happen hair by hair. As I mentioned before, the hair growth and pigmentation cells are separate, and not one in the same. If a hair grows out dark brown, it will not eventually change to gray; it will, however, fall out. Only a new hair can grow out gray. Therefore, it takes time for the new gray hair to eventually take over the already existing dark brown. Like I said, there is still so much we don’t know about hair--both with graying and hair loss, and it is an area of dermatology with a lot of possibilities for research in the future.